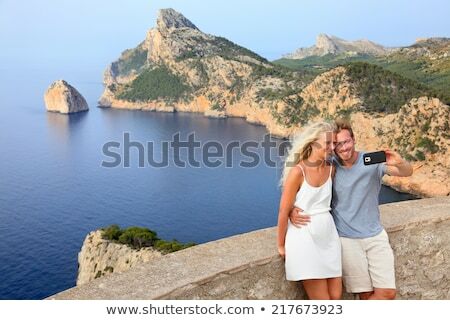 Stock photo: Dating travel couple taking selfie photo picture with smartphone on Cap de Formentor on Mallorca. 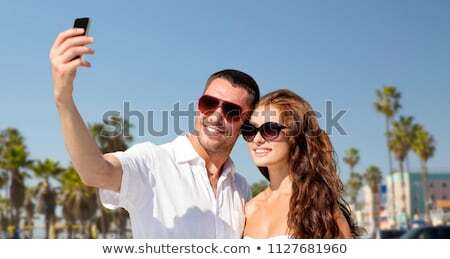 Young couple on Majorca vacation holiday travel. 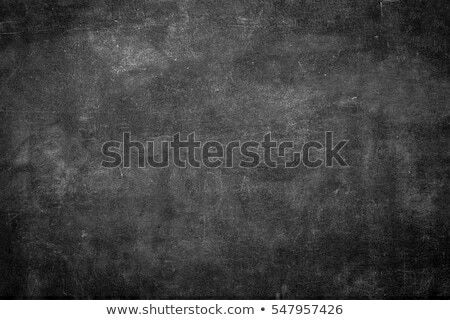 Image from Mallorca, Balearic Islands, Spain.